There is something so wonderful about having clothes made especially for you. Something so satisfying when asked where something is from and answering that it is a one of a kind piece, unique and handmade. 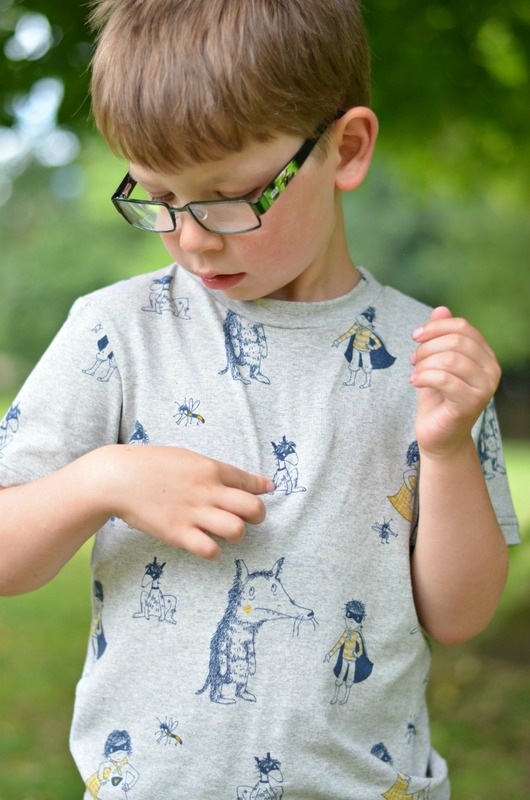 I love supporting small businesses and work at home mums, I love finding the perfect item and I love these clothes made by Katie at Busy Little Bee. Katie has such a huge array of fabrics it is incredibly hard to pick what you want, and there are so many different style of clothes. You can mix and match different prints, experiment with pockets and hoods and she works with you to get everything just right. 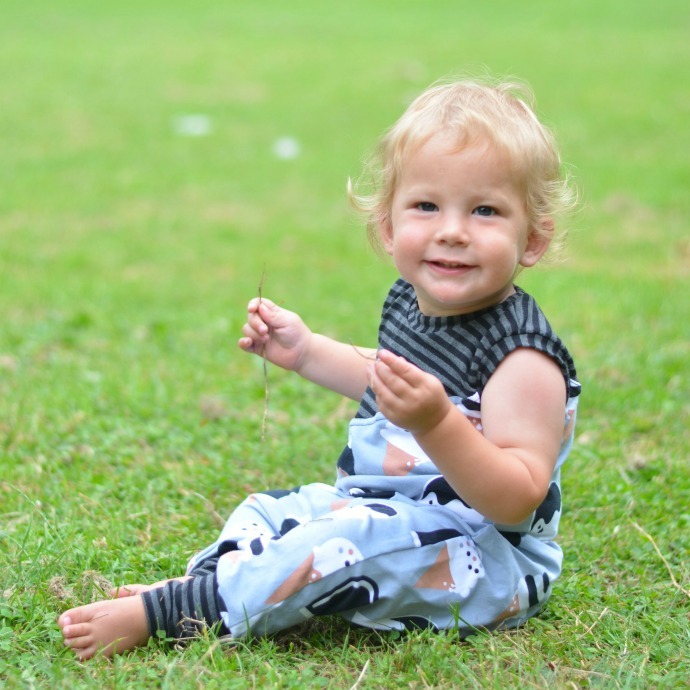 Finn's romper is perfect for the summer as it keeps his knees covered whilst he crawls but his arms out and the cuffs mean it doesn't pull over his feet. I think we will pop a vest underneath to help it see him through Autumn too. I adore this lolly print and the grey stripes go perfectly. We have so many compliments everywhere we go. 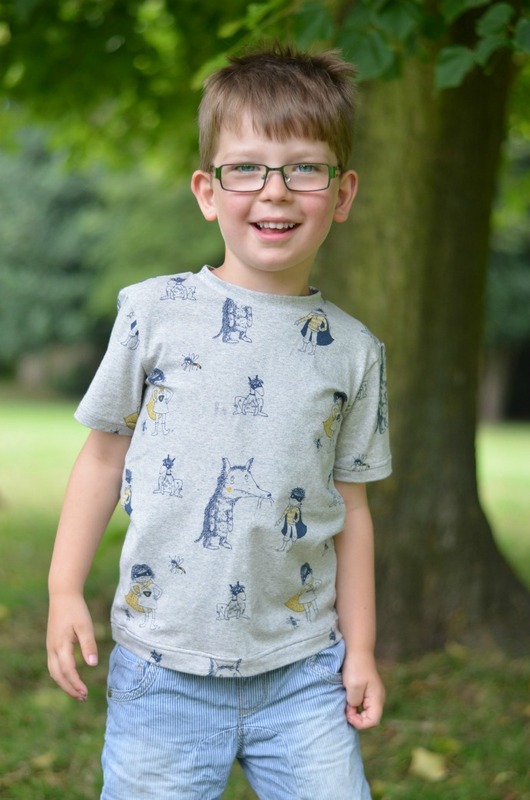 Archie's trousers are ideal for a busy three year old and since he decided that he hates jeans and anything restrictive I have been hunting for more fun and stretchy trousers for him. 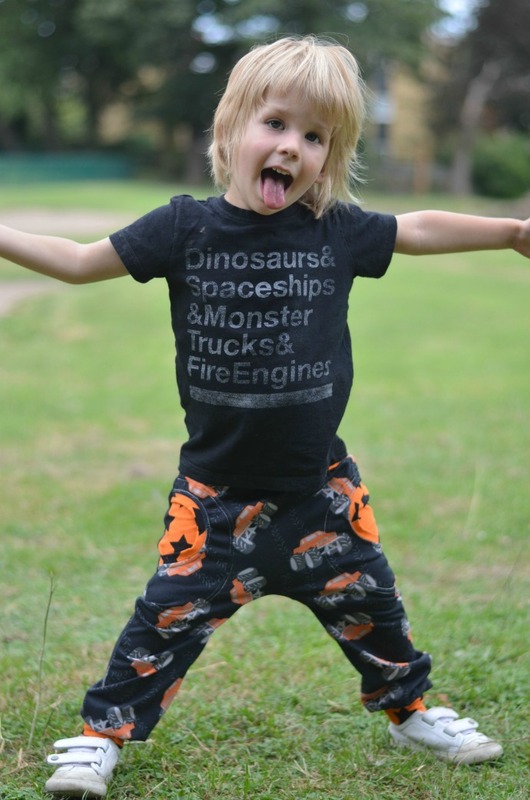 Covered in monster trucks which are quite frankly his favourite thing, he picks these out as soon as they are clean in his wardrobe again and the stretchy waistband fits perfectly on his slim waist. Dylan's t-shirt is a little bit more grown up, but still playful and comfy. He loves the print and it is great for making up stories with. He is starting to have an input in what he wears and if he doesn't consider it 'cool' then he won't touch it so this tee definitely passed the test. 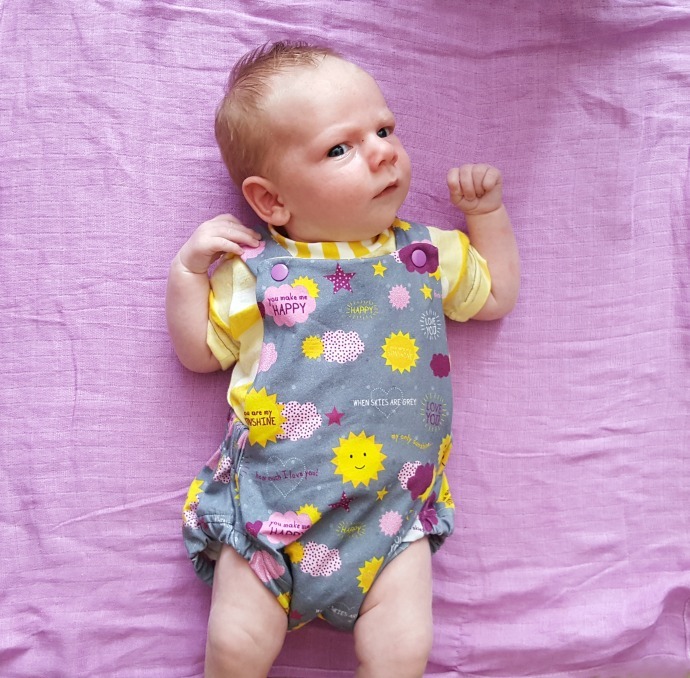 Cora was sent an amazing pair of bib shorts with a co-ordinating top. I just adore this style on babies and I love the colours and prints on her. 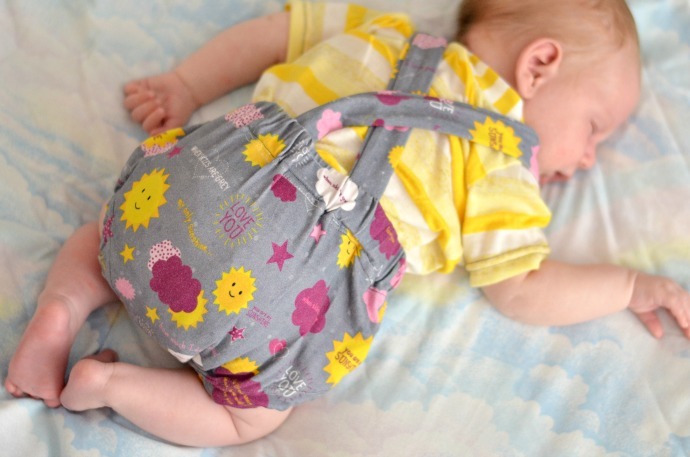 It is perfect for the hot summer days we have been having and just so sweet - who can resist little baby knees on show! And it isn't just children who should get great clothes! I am often wearing cheap clothes that have been sat in my wardrobe for years whilst my children enjoy beautiful new things each season. 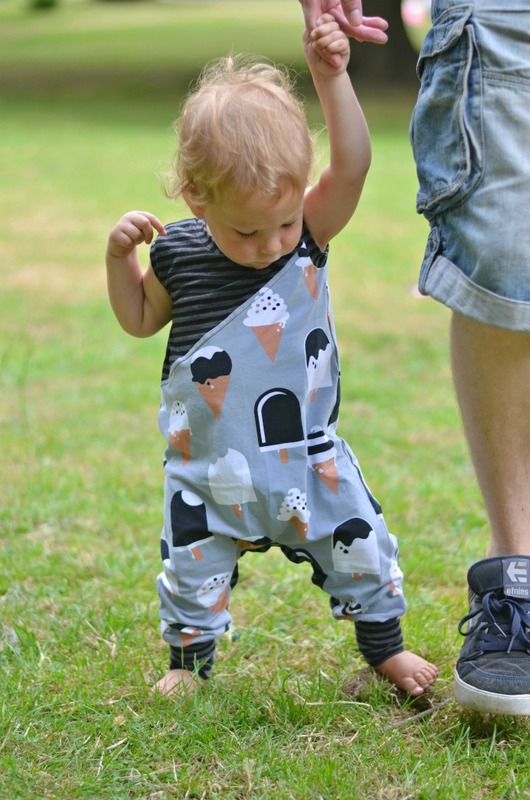 Katie makes adult clothes too perfect for pregnancy, breastfeeding and beyond. This skirt adds a wonderful splash of colour into my wardrobe and is so comfy on my post-baby belly too. Having to go back to buttons and stiffer waistbands the next day is always tough! 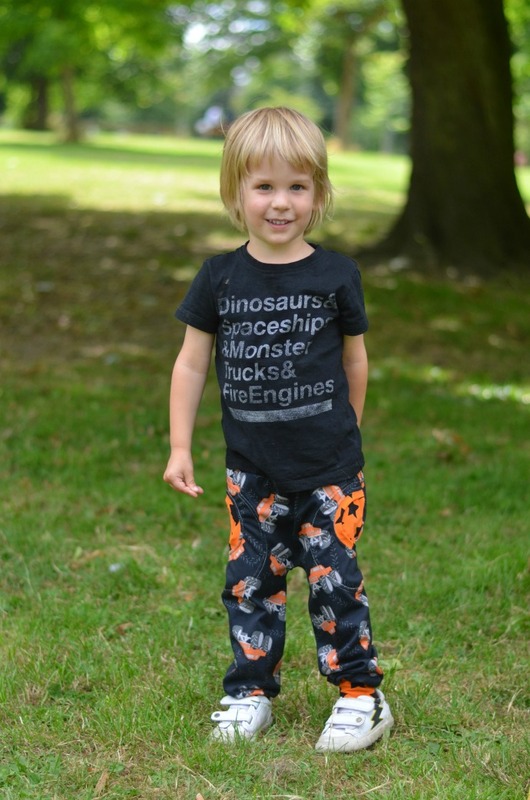 These clothes are all exquisitely made and perfect for active, growing children (and adults). With so many styles and colours from simple and plain to completely eccentric there is definitely something for everyone! Disclosure: I was sent these items free of charge but it was my choice to blog about them and all photos and opinions are completely my own. I've been loving these clothes, definitely keeping an eye out myself for some of Katie's pieces!